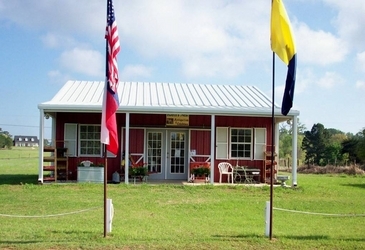 Country Store/Party Barn is now available to host parties, reunions, receptions, etc. The building is a 40 X 30 with a covered front porch. Amenities include: two bathrooms, stove/oven, refrigerator, sink and utility sink. Tables and chairs are available for use in the building. Also, price varies by type of party and choice of activities. Please call Jill Graves for details and pricing at 903-372-7119.